Binocular Magnifier Package. 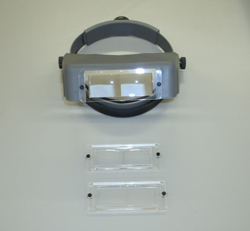 This package includes the binocular magnifier headset with a #5 lens installed. Also comes with #3 and a #7 replacement lens.